If someone tasked you with listing some of the world’s most famous and culturally significant events, there are some obvious ones that spring to mind. There’s the captivating Carnival in Rio de Janeiro, the magnificent Mardi Gras in New Orleans and the dazzling Dia de Los Muertos in Mexico. Each festival illuminates and celebrates those characteristics and traditions which are unique and cherish by their respective nations – even if some seem a little strange from an outsider’s perspective. What they all have in common is they celebrate their culture, heritage and language in a way that leaves natives brimming with pride and visitors with inspiration. It’s easy to forget, though, that right here in Wales, we have a festival which, though it may not match Rio’s Carnival for scale, is a significant part of the nation’s cultural fabric. That event is the Eisteddfod Genedlaethol Cymru (the National Eisteddfod of Wales). The Eisteddfod (pronounced “eye-steth-vod”) is a week-long competition held during the first week of August. 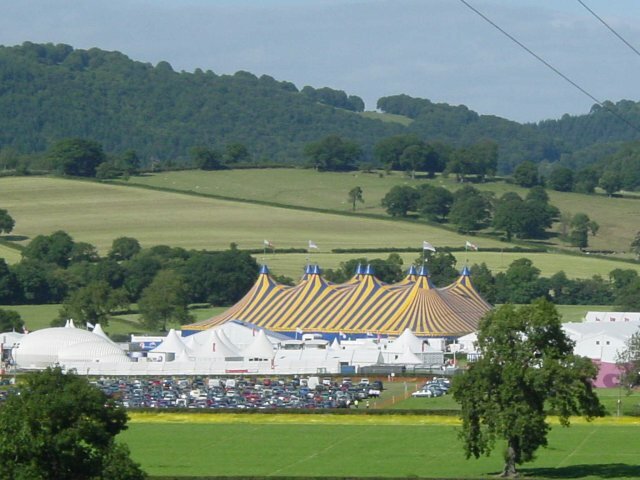 Alternating between North and South Wales each year, over 160,000 people flock to the Maes (the Eisteddfod’s central pavilion) to watch a myriad of music, dance, arts and performance competitions, as well as the famous and historic Gorsedd. What reinforces the Eisteddfod’s importance to Wales is that the festival is held entirely through the medium of Welsh. Unlike the aforementioned festivals, which are held in the world’s most popular and widely spoken languages (e.g. Portuguese, French, Spanish), the durability of the Welsh language is less certain. It’s fair to say that Welsh has a complicated history. As Britain’s oldest language, it has been evolving for centuries. Up until 1850, approximately 90% of the Welsh population spoke Welsh as their native language, and in the 17th and 18th centuries, Wales was one of the few countries with a literate majority. However, a long period of English rule saw major decline in the language. The 1536 Act of Union between England and Wales was introduced to unite both countries under one common law and language. Unfortunately, this union would have huge consequences to the Welsh language, as the English sought to suppress what they felt was an inferior tongue. In the centuries which followed, endeavours like the Blue Books and the Welsh Not also sought to bring the language to its knees. But it never worked. While it did have a significant and devastating impact, the sustained pressure on the Welsh language never could quite kill it completely. Its survival, in part, came by way of the National Eisteddfod’s creation. 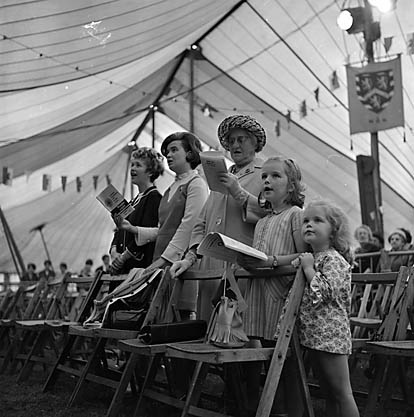 The modern Eisteddfod as we know it today first began in Aberdare in 1861. While it initially faced resistance from those who feared backlash from the English, the festival has gone on to become a cornerstone of Welsh culture. It stokes tremendous pride in Welsh people and allows them to totally immerse themselves in their own language and culture. And when discussion arises surrounding the Welsh language, it’s still debated as ferociously as it would have been all those years ago. In the build up to this year’s Eisteddfod, Welsh journalist, Marcus Stead, caused outrage by claiming the Eisteddfod to be a “parochial bore-fest”. “Welsh should not be subsidised as it is, the viewing figures for S4C are terrible — I look at the BARB [Broadcasters Audience Research Board] figures every week.” This controversy arrived one year on from when the BBC’s current affairs programme Newsnight voiced regret at having debated the significance of the language by asking whether or not it was a help or a hindrance to the nation. It appears that neither Stead nor the BBC anticipated the vehement defence of the Welsh language that they would inspire. Very dissapointing to read this Marcus.. Respect it may not be your thing. But its value to the survival of our langauge, culture and our unique identity as a nation is of huge importance. Something we all in Wales should cherish. Shame you cant respect that. But while the debate rages, there is no denying that the Welsh government has ambitious plans for the Welsh language. By 2050, the Welsh government wants to grow the number of Welsh speakers from 570,000 to over 1 million. The Welsh Assembly has identified a number of strategies to help with their cause (e.g. improving access to Welsh language resources and incentivising professionals to learn the language), but the language’s future prosperity will also rely on institutions like the Eisteddfod to inspire Wales’ sense of patriotism and pride. For the first time ever, this year’s Eisteddfod, held in the Welsh capital of Cardiff, has been made free to enter. This, they hope, will pique the interest of the locals. While the competitions are still held in the medium of Welsh, they are encouraging non-Welsh speakers to come to the festival and immerse themselves in the melodious tones of the language. Welsh may be Britain’s oldest language, but we are witnessing the infancy of its potential. Wolfestone is one of Wales’ biggest translation companies, and we’re proud to have supported some of Britain’s biggest companies with Welsh translation. To find out more about our Welsh translation services, click here.